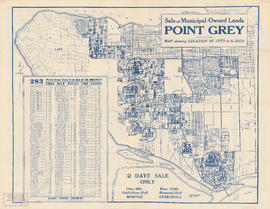 Item is a promotional leaflet advertising properties for sale in Point Grey. 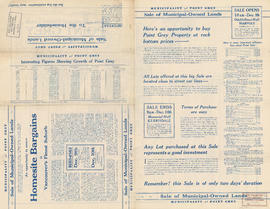 One side contains a map showing lots for sale; the other contains text describing the Point Grey area and explaining the conditions of sale. Another copy of this item (MAP 92) has been de-accessioned as a duplicate.